When was the last time you updated your design portfolio? (If you’re like me, it’s probably been a while.) Maintaining a fresh portfolio is a good way to show off your skills to potential clients and can be helpful when looking back on work for annual contest entries. If you’ve fallen behind with your portfolio design, or just need a new portfolio in general, this is a great opportunity to create something using trendy techniques and visuals. A modern portfolio using design trends can make a great impression. A portfolio is also a representation of your skills — so design wisely! 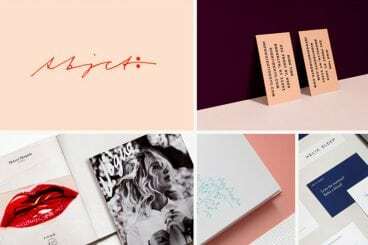 Here’s a look at some of our favorite portfolio design trends for 2019. Victor Costa’s portfolio is a prime example of how to create a high-performance portfolio. Victor Costa’s portfolio is a prime example of how to create a high-performance portfolio. It opens with an option for users – standard or high-performance. The portfolio is filled with interactive elements, fades and scroll actions and animation. These techniques match the elements he references in his bio and is not only a showcase of past work but an indicator of what else he can do for clients. Something that’s been popping up in more designs across the board is making its way into portfolio design as well – plenty of space between elements and objects. Lotta Nieminen’s portfolio is a perfect example of this design in action. The super deep header takes up more than a third of the screen while the vertical and horizontal space between portfolio images is super wide. Each element stands on its own and the exaggerated spacing gives each project room to stand on its own, which can be particularly nice for a portfolio design with the potential for so many different types of images. Pairing a minimally-styled design with stylish user interface effects can create quite a stunning portfolio. This combination of visual simplicity and complex interaction can delight users and keep them looking through different screens and portfolio projects. Click through the example above to see how each portfolio project glides onto the screen with a cool ripple effect before it stops. The cursor shifts and shapes as well, denoting click elements to take users through each project in a way that’s more than just reading about how the design came together. This is a portfolio you could spend hours with thanks to the groovy UI. Typography and text are some of the most frequently overlooked design elements when planning a project or portfolio. Strong typography and language can be the perfect introduction to your work (and portfolio). Most people probably know of Tobias van Schneider from his ventures as a designer or podcaster, but would you expect his portfolio home page to be mostly text? Typography and text are some of the most frequently overlooked design elements when planning a project or portfolio. Most of us are so concerned with the visuals or animation. One of the biggest trends in portfolio design is crafting a portfolio that looks like another type of website altogether. Robin Mastromarino’s portfolio looks like a website for a bar or fashion designer or professional athlete, depending on which part of the slider you view first. It’s beautiful and simple and what’s most impressive is the room each project has to shine. Subtle cues help users understand elements of the portfolio, such as small numerals above the headline, and the date below. Plus, the slide element that encourages left to right scrolling with partial headlines from other projects. For a while, many designers were opting for one-page portfolios. That has shifted back to multi-page projects with a twist – lack of traditional navigation. The homepage serves as navigation to individual projects and pages with animated effects in these projects to create a more immersive and wholly interactive experience for users. It establishes a nice UX that might make a client want to see a similar technique and is a good way to put emphasis on your ability to create in the digital space, even if all the items in your portfolio don’t reflect that. Split-screen patterns have been trending for a while and more portfolios are using this design, even if they don’t use the functionality. It works because the pairing of elements helps drive users across the screen to take in everything in front of them. Xavier Cusso uses a split-screen design with great parallax scrolling effects to move from project to project. The color-block screen design helps emphasize that the website is his creation, while the element in the middle is the portfolio project to examine. It puts some separation between the portfolio and project designs. The best thing about a minimalism-inspired portfolio is that it gives the design plenty of room to shine. The design of the actual portfolio becomes relatively invisible so that all the focus is on the elements that you want people to see. Designer Shawn Park recently wrote about how he redesigns his portfolio every year for UX Collective – I highly recommend that you go read that article here – and the current design (above) shows an evolution of design trends in itself. Park includes iterations of his portfolio design in the post, beginning in 2013, and you can see how design trends impacted his portfolio. You can also see how this fresh minimal style makes it easier to see his work today than in previous incarnations. Big headshots are a big deal, particularly with developers and interaction designers. This portfolio trend might be popular because it’s harder to visually show this work: Do you highlight code? The trick to making this portfolio design work is a strong image. It needs to be more than a headshot; it needs to have a moodiness to it. Then pair it with strong typography to make it obvious that this is a portfolio website and what you do. Keep all of that information above the scroll for the best chance at keeping visitors moving through the design. And a few nifty effects can’t hurt either. One portfolio design trend that never seems to fade is the use of modular grids to show off projects. This is a great – and functional – option because you can “float” images of different projects on a single canvas. Kimi Lewis does something a little bit different with her portfolio, above. Rather than lots of small blocks to show portfolio projects, this design goes big. It mixes and matches squarer and long horizontal images in an oversized grid. Users get a good feel for each project right from the start. Add the oversized grid images to some exaggerated spacing between elements and this portfolio might be one of the easiest to digest that I’ve seen in a while. There’s also a nifty hover animation on each image with the client name and project type to provide extra information before you click through. Nobody said a design portfolio has to be boring. While a lot of these designs are dark or white – mostly because these flat colors make it easy to see projects – bright, crazy colors can work too. Denys Mishunov’s portfolio is a great example of using color and illustration to stand out. The bright color scheme is attention-getting and the illustration is a fun take on an oversized headshot. Heather Shaw’s portfolio works because each project is so different, but the color overlays give the homepage a connected feel. One of the most challenging things about creating a portfolio is the homepage. How do you preview work or project sections in a way that will entice users to actually click through? The answer might be to partially obscure the work. Using interesting color overlays on preview image links can be a visually engaging way to encourage clicks to individual projects. It’ll keep your homepage cleaner with a consistent look and style for different sections of the website, ensure that one page isn’t too heavy and slow to load, and provides an opportunity to highlight something about a project before the click. Heather Shaw’s portfolio, above, works because each project is so different, but the color overlays give the homepage a connected feel. The user also knows what kind of project they are about to view thanks to labels with client names and project type right there. This is a highly navigable and easy to understand format that appeals visually. And then there’s the opposite end of the spectrum – portfolios that have a more streamlined look and feel. There can be a benefit to only showing a handful of projects. It ensures that users only see what you want them to focus on and not get distracted. Stefanie Bruckler also uses a module grid format but with fewer items in a more contained space. Plus, it’s all below the main scroll which features a minimal business card style design. It has a look that’s polished and classy, setting a distinct tone for the work of this designer. Still not quite ready to redesign your portfolio? While it is a creative project, this is also an investment in your business, whether you work for a company or as a freelancer. Potential clients are looking for you before you even know they exist. A modern, trendy portfolio with your best projects can make a strong first impression.